I spent a lot of time looking at this after we found out we were moving to China Lake. Look at all that brown. I gave up complaining for Lent, so I’m just going to leave that as a simple statement…look at all that brown. There it is. 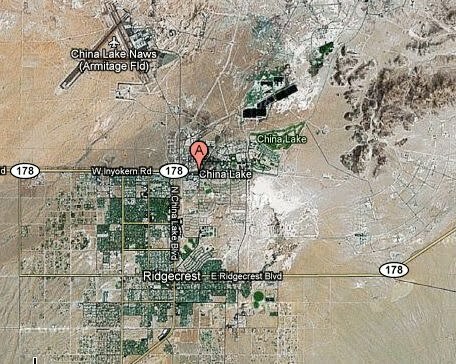 Skip to the next day, I am at my dentist’s office telling my hygienist that we’re moving to China Lake. Behind my chair, I hear her assistant say, “Beautiful, beautiful, beautiful.” What?! Finally. In disbelief I say, “You’ve been there?” “Nope,” she replies, “but I watch HGTV and the Travel Channel, ya know?” HAHA, God. You got me again. Someone said something nice about it. Never mind that the places she’s thinking of are probably hours away. Lest I insult someone, I’ll put this out there. I haven’t been there yet, so for all I know, it is beautiful. And I know some people find absolute beauty in the desert, but I’m sorry, I just don’t. It’s not you; it’s me, Desert. We had never had a chance to start with.